Guys - It's pretty simple - July slid by, August has flown by and we are headed into mid September ! The chestnut trees here on the cape are dropping their leaves, all crispy and brown already, and their shiny brown nuts are about to drop too. What are you waiting for ?? This awesome season is moving along and TRIPLEPLAY is ready for what always turns out to be the best fishing of the year. 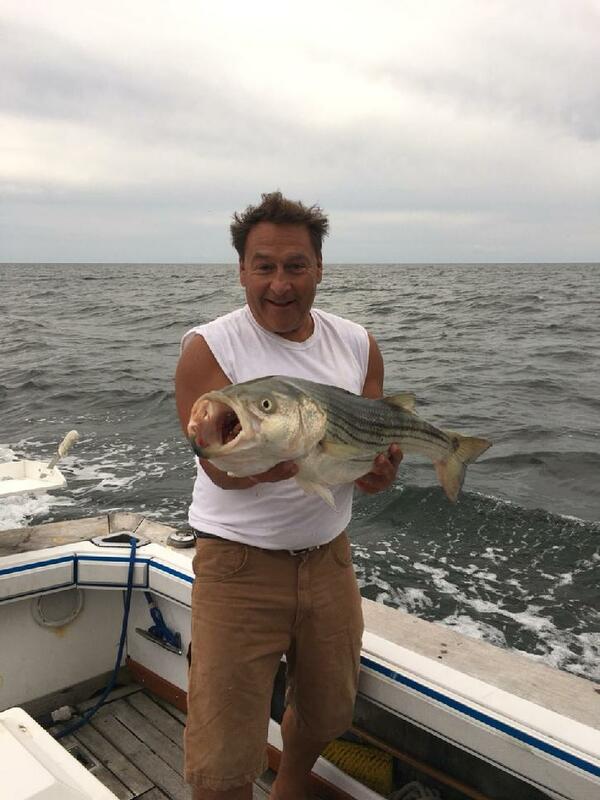 We've already caught our limit of just about every fish out there (except bluefish -- where are they this year ??) and Bluefin... got to get more of those ( !! ) but we are not stopping. There are prime days left and we mean to be on the the water. We look forward to having you aboard, so give us a shout ! Super Discounts are available and there are lots of fish to be caught. SO C'MON OUT FOR YOUR DAY ON THE WATER. TUNA, BASS AND BLUEFISH WILL TIRE YOU OUT! Get out on the Water ! TRIPLEPLAY IS A PROVEN FISH RAISER. THE COMBINATION OF HER DEEP V HULL, THROBBING DIESEL POWER AND MESMERIZING SLIPSTREAM WAKE DRAWS FISH TO OUR SPREAD LIKE SEAGULLS ARE DRAWN TO A CLOUD OF SAND EELS. FEDERALLY DOCUMENTED VESSEL AND COAST GUARD LISCENSED CAPTAIN ARE SET TO DELIVER YOU A CUSTOM TRIP. MAKE SURE YOU LET US KNOW YOUR PREFERENCES - WE'LL DO OUR BEST TO MAKE IT HAPPEN.